I thought the first season was an incredibly fun return to this character and this world, and I was quite looking forward to the second season. It aired a while back, but was just recently added to Netflix, and so far (I’m halfway through) it’s just as fun. 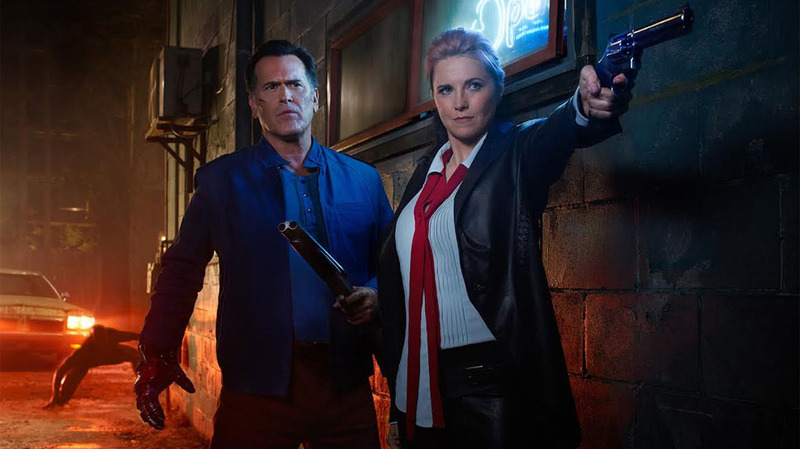 It’s kinda insane who much they manage to fit into one episode, and the casting of Lee Majors as Ash’s dad was pretty inspired. Update: I watched the first half back when I originally wrote this post, and then finally watched the second half this past month (October 2018) — felt quite fitting to do it as part of my October horror fest. It dragged on a bit during the middle-season episodes, but oh man, the last few episodes — with the gang heading back to the original house in the woods of the original films — were just so damn fantastic. I know the series has ended, but I’m still looking forward to watching season 3 when it gets added to Netflix.